The biggest praise one can give Nintendo regarding the Nintendo 3DS is how well it respects the third-party support its thriving handheld has been blessed with. SEGA and Atlus might come to mind with some of the best games on the device last year, and a lot of it was due to Nintendo's openness in aiding the best quality games from Japan in finding their way to America. 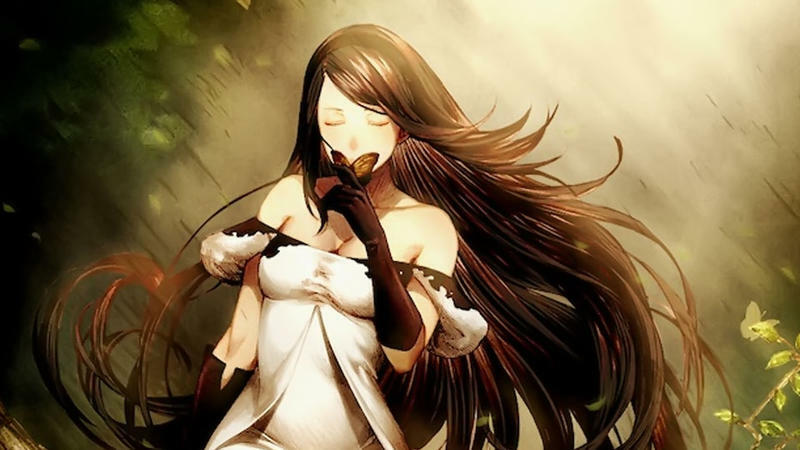 Thanks to its efforts, import gems on Nintendo consoles are now a thing of the past, and we've already got 2014 off to a great start with Nintendo helping Square Enix localize Bravely Default for American audiences next week. President Satoru Iwata has confirmed at a Q&A session, translated by Siliconera, that Nintendo won't be letting up on this course of action and is eager to see more and more titles be brought overseas. "We sometimes distribute, or even publish depending on the circumstances, games that were made by Japanese software publishers in the overseas markets, and you can expect to see more examples of this this year and the next." Thank you very much, Iwata. Now, where is my Dragon Quest VII!? In regards to the lack of quality Western games on the handheld device, Iwata was quick to point out that American and European developers have noticed its upward trend but are still too focused on high-end PC and next-gen console games to think about how to approach the Nintendo 3DS. I would also like to point out the leaps and bounds Nintendo has taken in improving its own handheld software. Looking back on the Nintendo DS, for as good of a system it was, it did not have that many great first party titles in its library. A good ninety five percent of my collection comes from third-party companies. Nintendo has leapfrogged its support for third-party games this time around, but in the meantime, it has also figured out how to play by the rules of its own device, something Iwata was quick to point out. "Since Nintendo 3DS has an installed base of more than 40 million units globally as I mentioned earlier, we are now getting to the point where it is impossible not to turn a profit with our software business. We have many key titles to be released in this calendar year and we will strive to drive profits from these titles. Seen in this light, I believe the key profit-driver for the next fiscal year will be Nintendo." Kirby: Triple Deluxe, Yoshi's New Island and Super Smash Bros. are certainly these key games, but the expanding reputation of Animal Crossing: New Leaf and Pokemon X and Y are sure to still guarantee sales in the coming year also. I've never heard a company CEO say "it is impossible not to turn a profit." That is one serious vote of confidence right there. Nintendo still has a lot of kinks to work out these days, but on the handheld market, it is still the standard by which we judge everything.